A couple of people I know feel cheated by one of their parents. The mother had a hobby that all but eliminated the children’s importance. 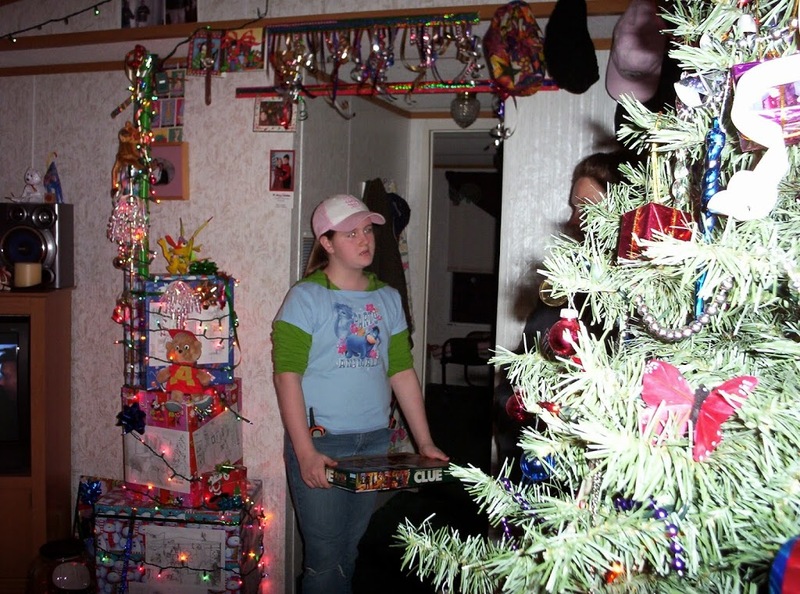 Most of the mom’s free time, money, and mental focus were dedicated to the pursuit of the hobby. 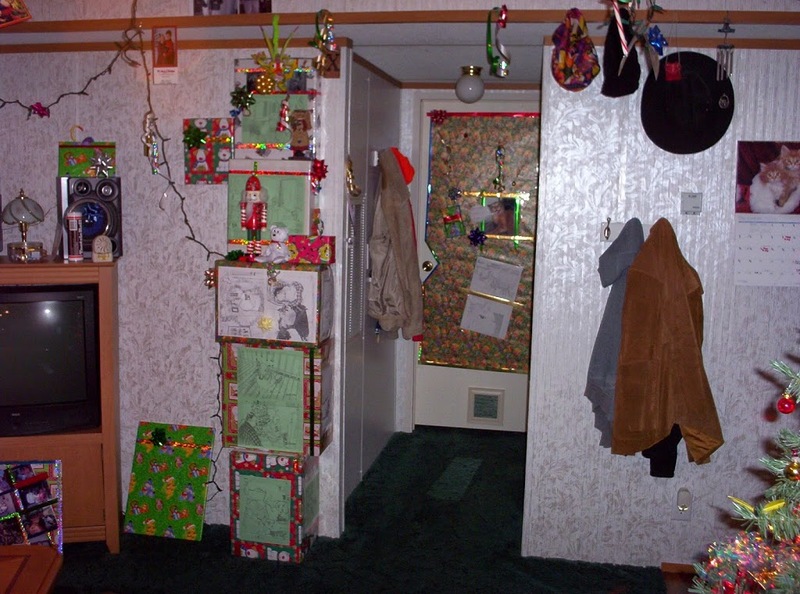 The hobby also rendered the home to be an unclean mess throughout their childhood. The children had to fend for themselves or do without. The hobby resulted in at least one bankruptcy, liens on property, etc. Fast forward twenty years. The revisionist mom doesn’t want to discuss her negligence toward the children. Any mention of the negligence is ignored and if it can’t be ignored, an attempted dismissal of the allegations ensues. The mother can’t understand why the children could be wounded by her betrayal or why it would be so important to continue trying to understand so many years later. It is easy to wait until later in life and hope that time and memory have softened the details and other people’s desire to dredge up the past. But “let the past be in the past” is not a useful cliché in situations where real emotional damage occurred. It’s a good reminder, but only goes so far and should only be applied when the issue at hand is small – otherwise, murder wouldn’t have an unlimited statute of limitations, would it? One of the daughters had a couple of complete mental breakdowns in life. When she speaks of the negligence brought on in part from her mom’s hobby, the anger and hurt are still apparent after so many years. 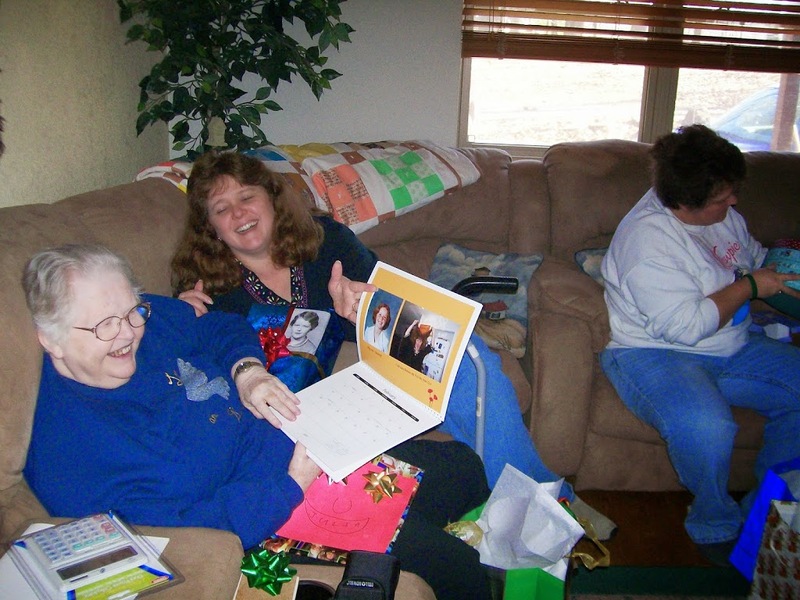 She tells a story involving a counselor, one that both mother and daughter visited. The mom said that she couldn’t devote more time to the daughter, as it would harm the pursuit of her hobby! I don’t really have a “point” to this blog entry, it’s just another example of how stupid we can be at times. Someone is trying to make it sound like that it is a secret that I didn’t talk to my own mother for a long, long time until fairly soon before her death. Everyone close to me knows the circumstances and can’t understand why I tolerated such anger for so many decades. Whatever my actions toward her, it was up to her to live a good life, independent of my opinion of her. 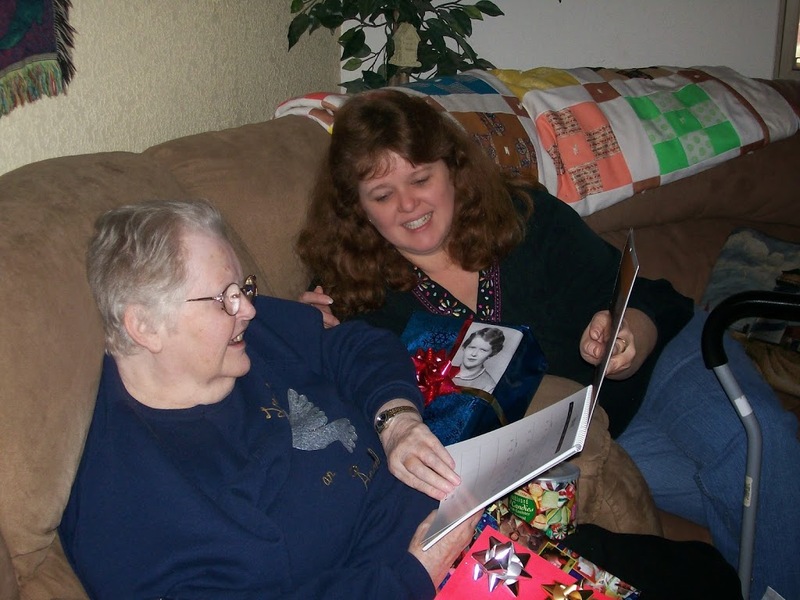 I had written about my mom many times on my blog, and social media, well before her death and while she was sick. It’s no secret and everyone who knows me or reads my blog is well aware of it and the circumstances that led to it. My parent’s issues were a major stumbling block for me for most of my life. I could have used their violence and attitude to justify things I did – some of my family chose that path.We each must look back and make our own conclusions about how it affected us. As for the problem last year with another family member, my only goal was to “get away” from it and insist on being left alone. Again, everyone involved knows the truth. Attempts to characterize it any other way are nothing more than angry tirades to lash out at other people and to distract from the sadness and violence in other people’s lives. I worked very hard to avoid causing pain and suffering to the other family member. Sometimes, looking back, I think I should have followed the advice given to me, but most of the time, I’m glad I took the tougher route. I didn’t write specifically about the other issue because regardless of what happened, I thought it was an invasion of the other family member’s privacy for me to do so, regardless of how angry anyone had been about it. My other family member worked hard to get back to a place of “better” in his or her life, just like I did. Ranting and screaming about it on social media doesn’t add anything positive to the issue. It wasn’t my right to tell that story. Again, though, everyone who knows the people involved understand how and why. That someone not involved is lying about who, what, when and where is to be expected, given their life up to this point. They don’t know any better and don’t understand that most people don’t live with all the drama and damage that they find to be normal. When all you’ve done is plant poison in life, it should be expected to find bitter fruit in their crop. It’s just disappointing. You’ll notice that I don’t mention names or lash out just to feel that righteous indignation being let out. I can only imagine he or she would feel if they read or heard some of the nonsense being spouted on social media. Using that person’s pain to rant makes the person being angry look childish and spiteful. I can’t worry about the lesser people in life using their anger and revisionist stupidity to lash out over and over. Comparing my life against theirs leaves no mistake which ones of us are trying to live an authentic life, even if misunderstood, instead of one characterized by wrath and destruction. No one can be certain as to what goes on inside your head. Not your motives, fears, nor perspective. Try as we might to get close to other people, each of us still has our own filters in place to foolishly attempt to control how we seem to other people. The same is true with our attitudes at funerals: each of us tends to judge critically other people’s behavior, attendance and attitudes at funerals, while being forgiving toward ourselves. A decision I’ve made is that I no longer will feel so responsible or attentive toward the “shoulds” of other people’s ideas about whether I should attend a funeral or viewing. Only I know whether I appreciated, loved, or admired another person. It’s my choice to celebrate, observe his or her passing or think about someone who has died in the manner I choose. It doesn’t have to be taken as an insult to someone’s legacy if I observe a death differently than you think I ought to. The deceased has no opinion on the matter, in my opinion. I’m just one person, a person whose opinion doesn’t really signify much when weighed in the balance. I would rather someone spend time with family and friends looking at pictures, eating, telling stories, and sharing another person’s life than I would to have them obligated into the traditional viewing and funeral process. I’ve grown so weary of being concerned about the “ought-to” factor with funerals. If I choose to not attend either a viewing or a funeral, it means that I’ve used my own personal criteria to come to this conclusion. Your “shoulds” and guilt-inducing words or behavior are your own responsibility. I’ll take your reasoned words into consideration if they are graciously tendered, but at the end of the day it is my life to do with as I wish, even if it involves me not participating appropriately in funerals. Not that I am getting a traditional funeral, but I wouldn’t want someone to attend who felt apathetic or even resentful about me. Sometimes, people get upset that a certain dress code isn’t followed, flowers aren’t bought, thank-yous are forgotten, someone isn’t mentioned in the obituary or funeral program and so forth. Don’t twist my words. I don’t mean to convey that I will be rude or inconsiderate. Quite the contrary. What I want to get across is that each of us can and should decide how and if we each will be involved with a specific person’s funeral. We should not take our participation lightly nor callously disregard the feelings of those we love. I’ve noted a lot of funeral-related anger and venom hidden in the veneer of social obligation and guilt. The people I admire don’t browbeat or use coercive words and guilt to push someone into attending or observing funeral services. We should take a long moment to honestly evaluate just how willingly we have been involved in viewings or funerals in our lives when we shouldn’t have. I don’t want to ever hear “You really should go” (or “shouldn’t go,” either) anymore. Keep in mind as you read this poorly-written exposition that I personally don’t “get” most funerals. Burial is strange to me. Viewings are strange to me. Not uncomfortable- just strange and alien. I don’t need to hear words of spiritual comfort. Each of us is tasked in our lives with our own spiritual guidance and we certainly have our own minds made up about where we go when we die. I would much rather be a part of gatherings of friends and family, sharing memories. The traditional rituals for me are devoid of the meaning so many other people seem to be able to derive from them. Everyone who knows me laughs sometimes at my odd attention to irrelevant detail. With Facebook, for example, I’m more interested about what motivates patterns of actions and posts – usually at the expense of what they are posting. Why do certain people post at certain times or omit vital details while obviously begging for attention is interesting to me.What’s NOT posted, even when it is more representative of the identity of a person is equally fascinating. Most interesting is the tendency of people to self-edit, myself included. Are we afraid that our remarks will be horrendously taken out of context? Or worse, that they will be understood and cast us in a horrible light? I’ve written a couple of posts about how everything a person documents will be taken out of context and in the worst possible way, somewhere, by someone.We should give up the idea of control over this and live a little more peacefully. Make no mistake, we are all going to say incredibly stupid things, sometimes even hateful. Imagine if every word we uttered were to be recorded and viewed later. Over time, we would be unable to say or do anything as a result of the constant negative attention. People must be allowed to learn and change, including one’s opinions. As we learn and grow, our dumb opinions and values change with us. I know for a fact that all of us have some outrageous commentary going on in our head. Most of our censor the content so diligently that little of it escapes our filter. Life would be more interesting if we could let some of it out in our regular lives and either learn from one another, or at least be entertained by the results. Most of the time I’m just disappointed that we aren’t making an effort to let out some of our weirdness, if not our demons, for a little exercise. Yet more research indicates what I often say: everyone needs a free pass. Even though my belief is more predicated toward lesser offenses, it still mostly applies. After 10-13 years of no further offenses, a person with a criminal background is no more likely to commit a further crime than someone who has never been convicted. I know that flies in the face of conventional logic – but it is worth thinking about the implications. There are a few companies that will allow you to make very personalized calendars. 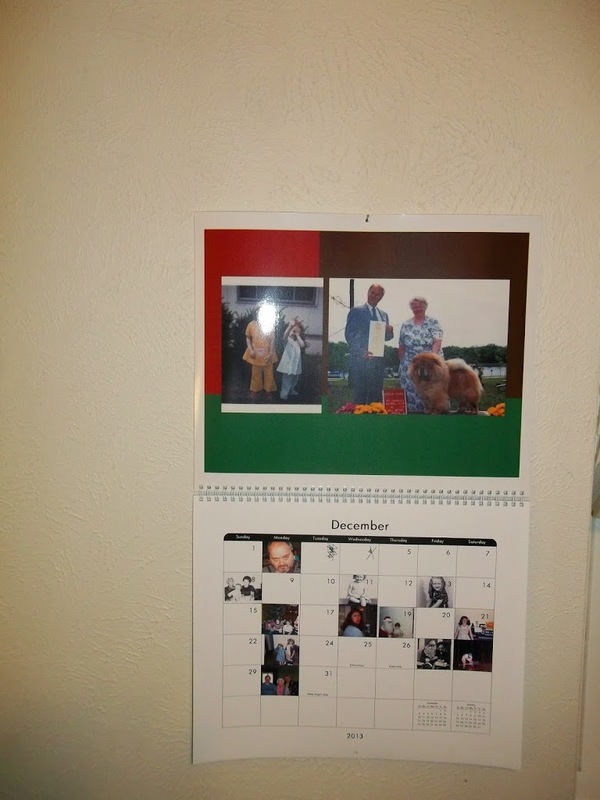 You can add pictures not only to the display page for the month, but also to any day of the year. (So, your calendar can have hundreds of personal pictures.) Also, you can personalize holidays, birthdays, anniversaries, and any other noteworthy days you want to commemorate. Smaller sizes are less expensive but these calendars are so fun that I doubt you will care about a few dollars difference in cost for larger sizes. The larger sizes are worth it. If you are interested, you can visit Walmart.com through their online photo department, Snapfish.com or other similar websites. Sometimes, especially around the holidays, you can also get a huge discount on multi-packs of the same same calendar, which makes giving gifts very easy if you’ve got more than one person in the family to buy for. I combined a special offer with a multi-pack discount this year and bought three for the price of one. Below is a decent idea of the basic version of the calendar. You can use 1, 2, or more “cover” pictures for each month’s face page. You can add text to each month if you want. 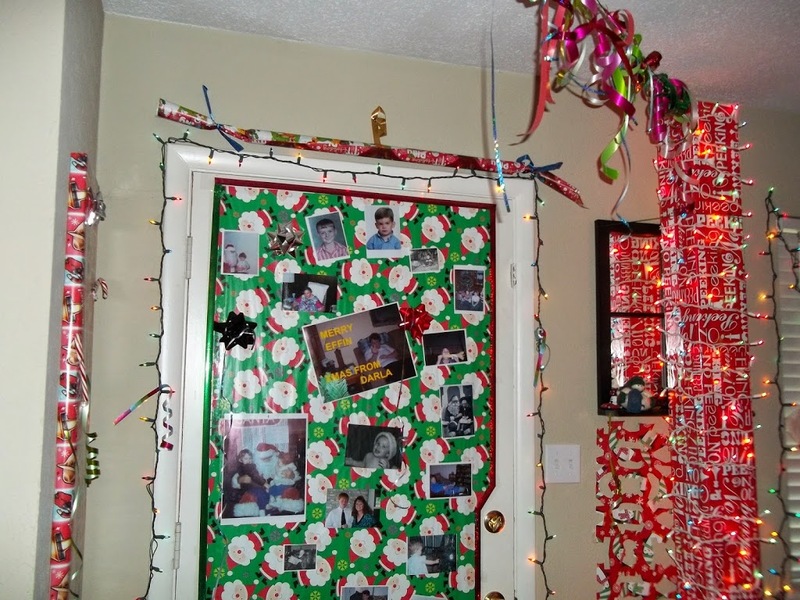 I’ve never given a calendar to someone who didn’t find it to be a great gift. Even hardened criminals in prison would get teary-eyed at such a personalized gift. When you are compiling and uploading pictures, you don’t have to spend a great deal of time organizing it if you don’t wish to. There is an auto-fill feature on every calendar site – but I’ve never used it. The picture below is a good indicator of how much fun these calendars can be. They are not only personal, but lead people into reminiscing and thinking about good memories, people they’ve lost, and life’s moments. This is a 16 X 20 wood frame photo canvas from Wal-Mart. With the holiday discount, it was a steal. My wife loves monkey-related stuff and an attempt to find a great reproduction from a specific artist feel through. So – I went creative! 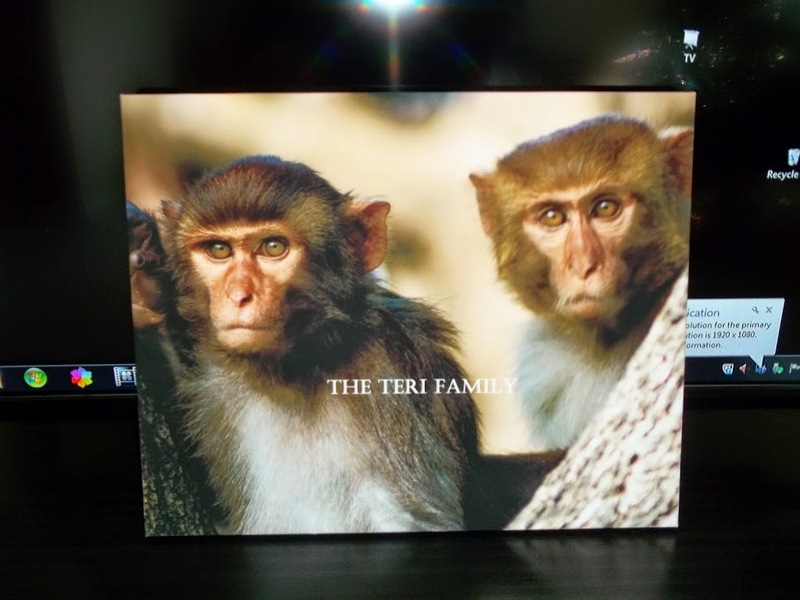 Obviously, since I had “The Teri Family” put on the face, it’s supposed to be humorous, too. When I went to pick it up, my canvas was on display so that people could enjoy it. This isn’t just a way to snoop. Your government thinks this is useful information to have available. The lawn service I used goes to public records for all clients to properly size the lots it services for mowing and leaf removal. 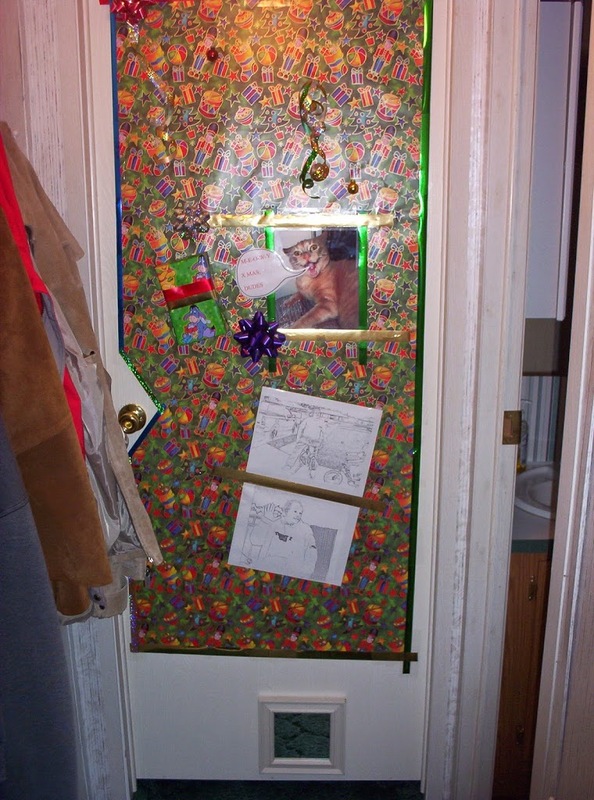 Do you have a troublesome neighbor but don’t know how to contact the landlord? Do you want to know how your house compares to your immediate neighbors? Lost someone’s address? Do you want to know how your tax value compares? What school district a house is in? 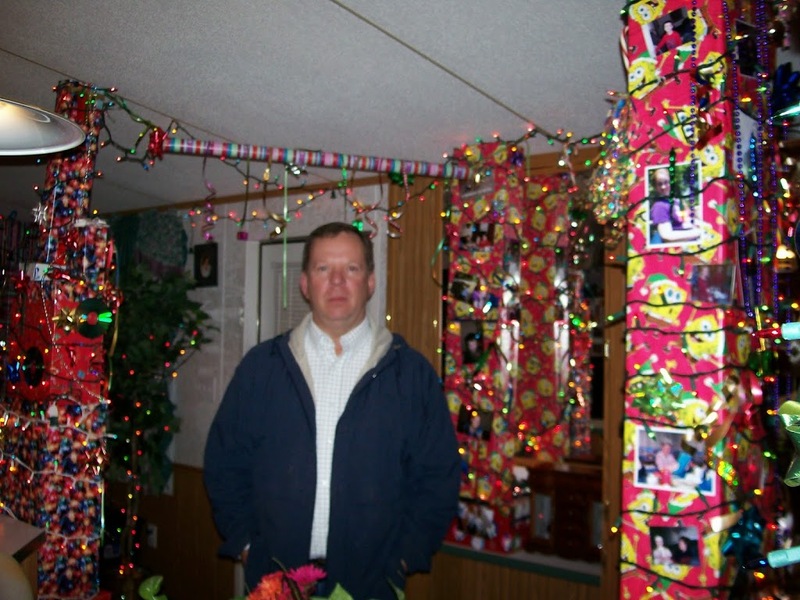 There are all sorts of legitimate uses for this type of site. The above link if for Washington County, Arkansas, but most places have a similar and free method to look up anyone who owns property. In most states, you can also have visit just about any courthouse and look up someone’s information. Using the above link, by putting in first and last name only, once you get search results, just click on the “more info” button. You get a diagram of the house, a map, all the tax information and much more. You can also look up any address, too, so if you want to know all the information about an address, who owns it, how much it cost, whether it has central heat and air, you can simply look it up. Using the top menu and the “real property” tab, you can choose a different county, too. If you aren’t sure if your place of residence provides this type of information for free, then call your local assessor’s office or tax collector and ask if real estate information is provided online. It almost always is. I’m constantly startled by the number of people who aren’t aware that they have no privacy when it comes to the information about their houses. It’s almost ALL public. Unless you are using a business to conceal your ownership or some other intervening method, your information is out there. Whether you are a politician, a prison security guard or just enjoy your privacy, you really don’t have much in this regard. Zillow.com and Trulia.com are also great real estate sources. 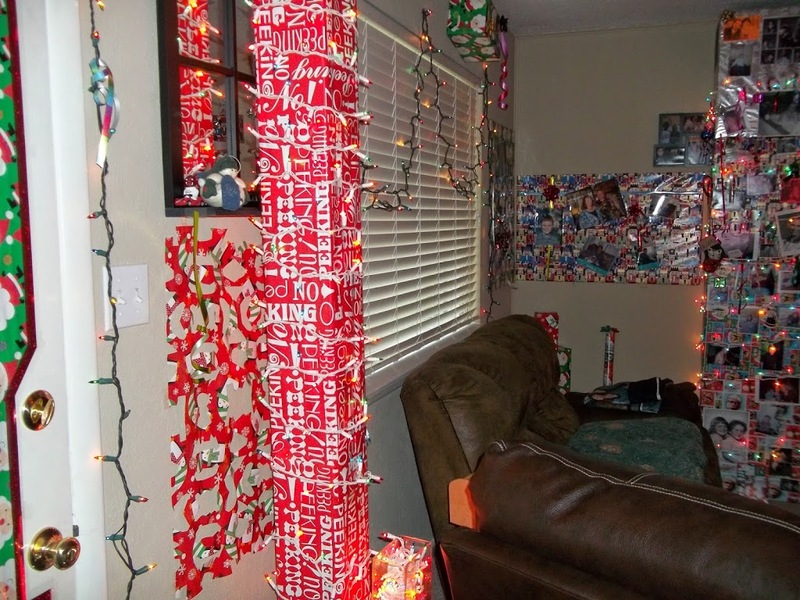 Sometimes I am accused of going overboard when decorating for Xmas. 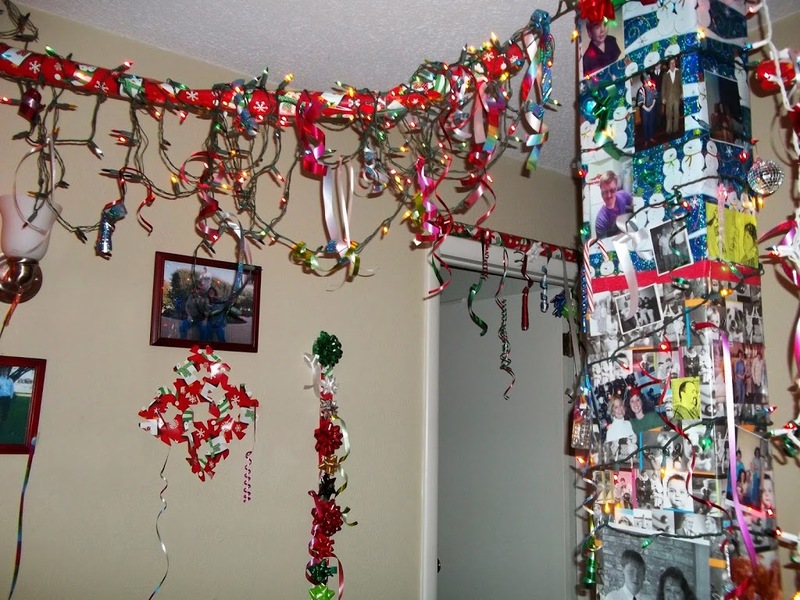 It’s not the typical way most people decorate. 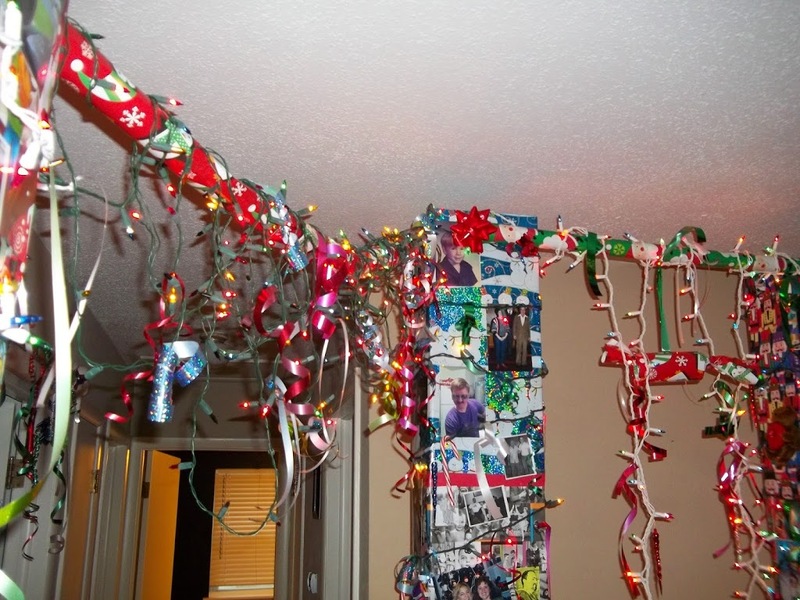 I’m not one of those people who string up 12,333,435 lights, nor do I put up nine trees in my house. 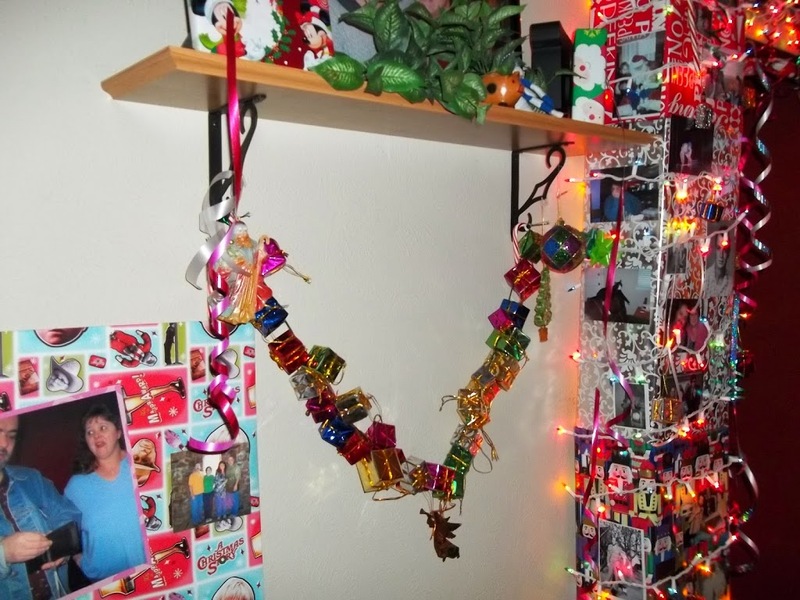 I like to decorate manually, mostly making all the decorations and putting it together myself. It’s very non-traditional and startling the first few times you see it. It has a better effect in person. Much of what I assemble requires an inordinate number of boxes, hollow cardboard tubes, clear tape, several HUNDRED personal pictures, xmas lights, ribbon, etc. The trick is to use anything and everything in the house. I stopped counting after using 600 pictures in 2011. 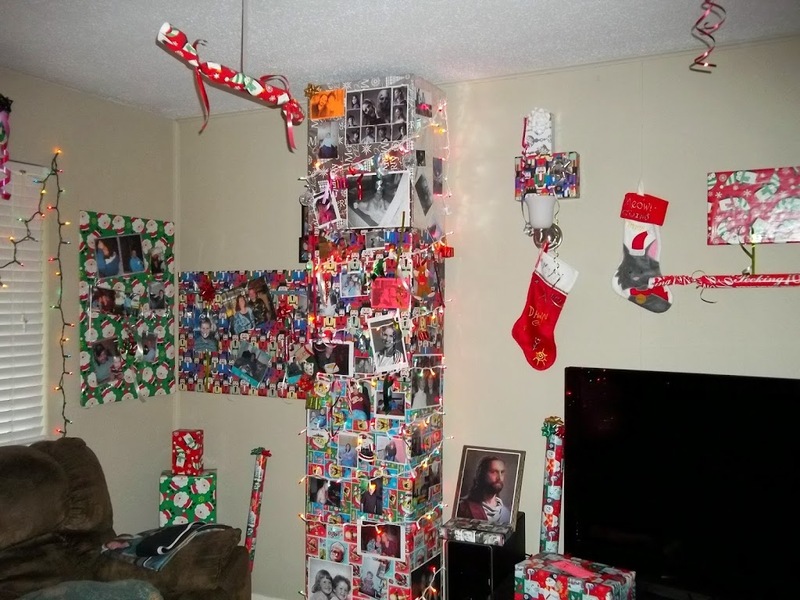 This type of decorating is ideal for having children help. The more creative and involved they are, the more interesting the display turns out to be. At least, for me that’s true. I usually make several columns of boxes reaching floor to ceiling. 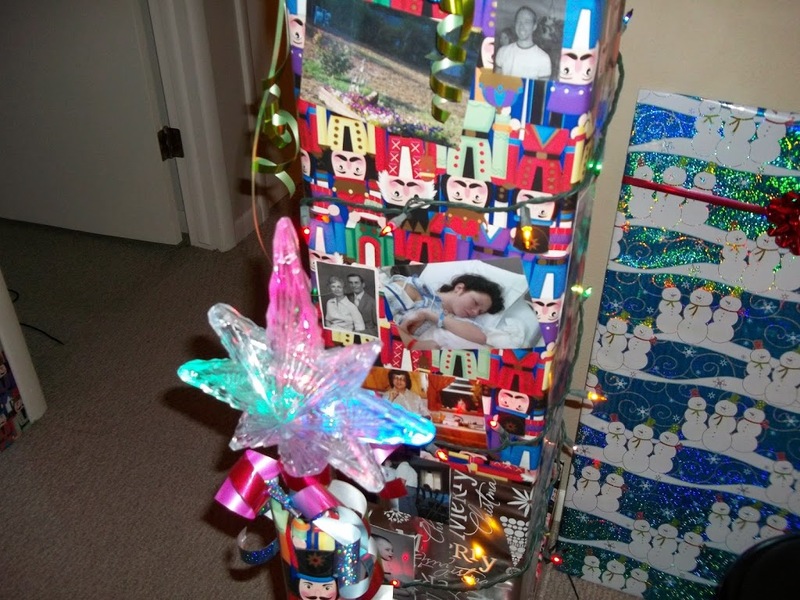 I then paper them with different wrapping paper, affix about a hundred pictures to each, wrap them with lights, ornaments and ribbons. A couple of years I made them all intertwined. There’s no reason you can choreograph them to synch too, if you wanted. 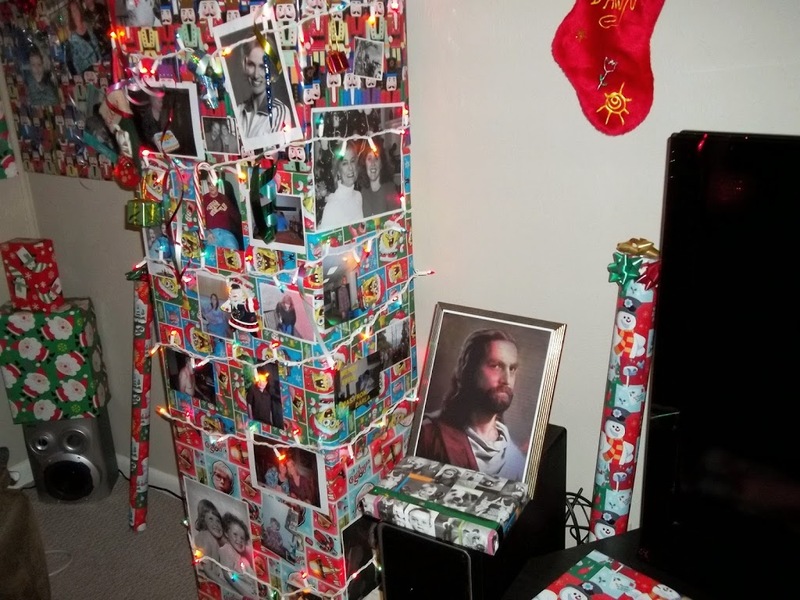 Some of it is funny, such as the picture of Zach Galifianakis as Jesus, the zombies, and pictures of the grinch and Colin Firth. 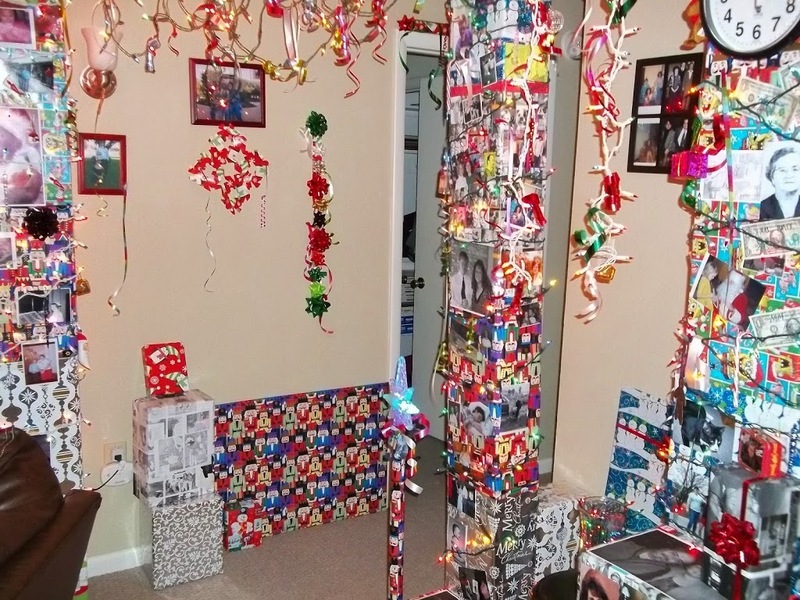 I then also wrap dozens of “fake” gifts and sit them around the room. 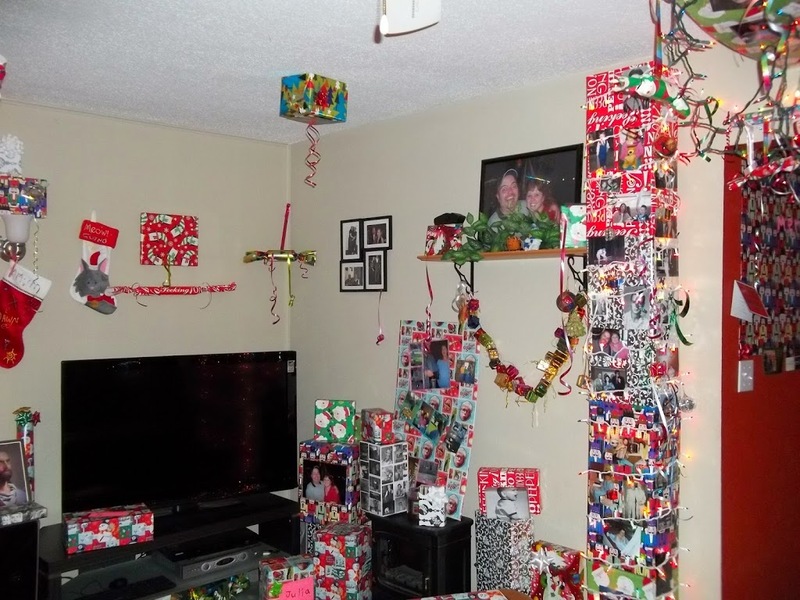 These “fake” boxes also make great places to hide real gifts, undetected. I also wrap stuff that we store, such as scrabble boxes, puzzles, etc. These then feel like real gifts, further confusing anyone looking for presents mixed in with the madness. I don’t have video of the year from which most of these pictures were from. 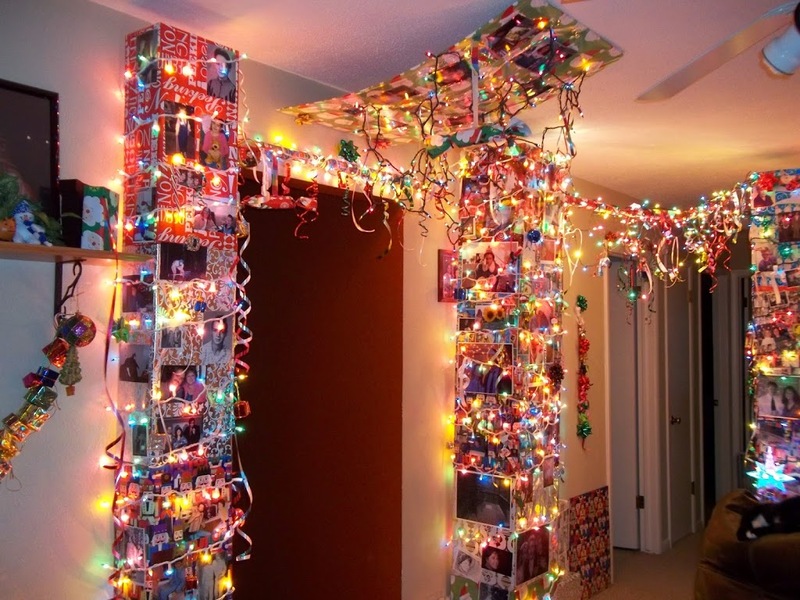 It’s shame, because the house would light up like a runway when all the lights were turned on. In the above picture, you can see that there are boxes attached to the ceiling, too. There is some safe and strong tape and adhesive to attach this sort of thing so that it won’t cause a lot of damage. 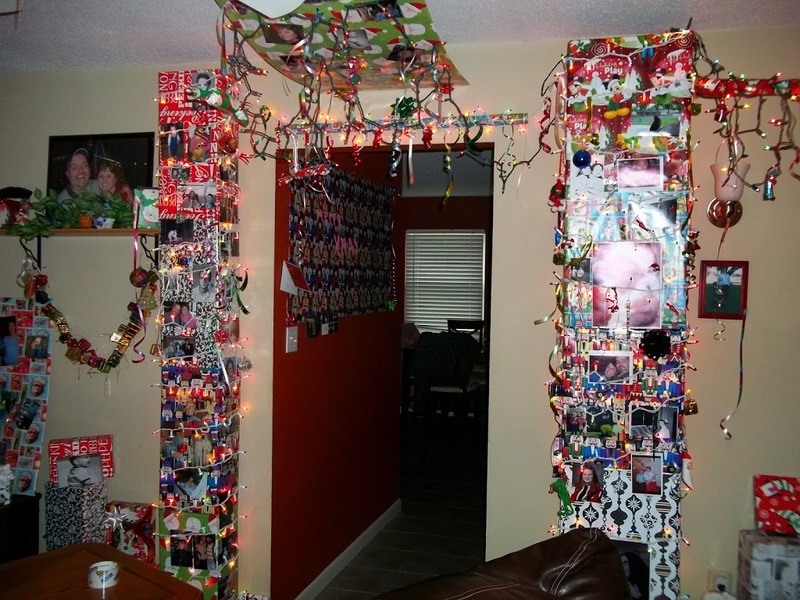 I love putting boxes on the ceiling, walls, floor, anywhere you can add color. 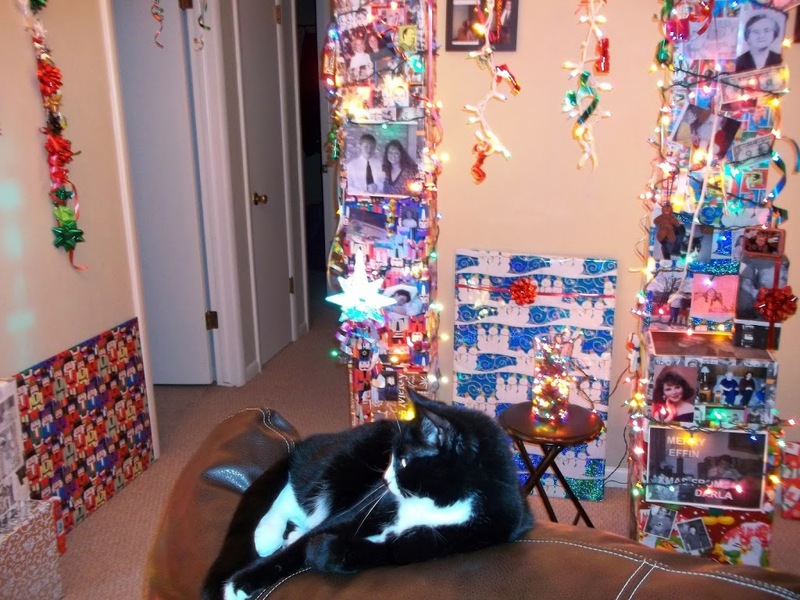 Another trick is to take down your pictures in frames, wrap them, and put them back on the wall. It adds another level of color and decoration to your room. 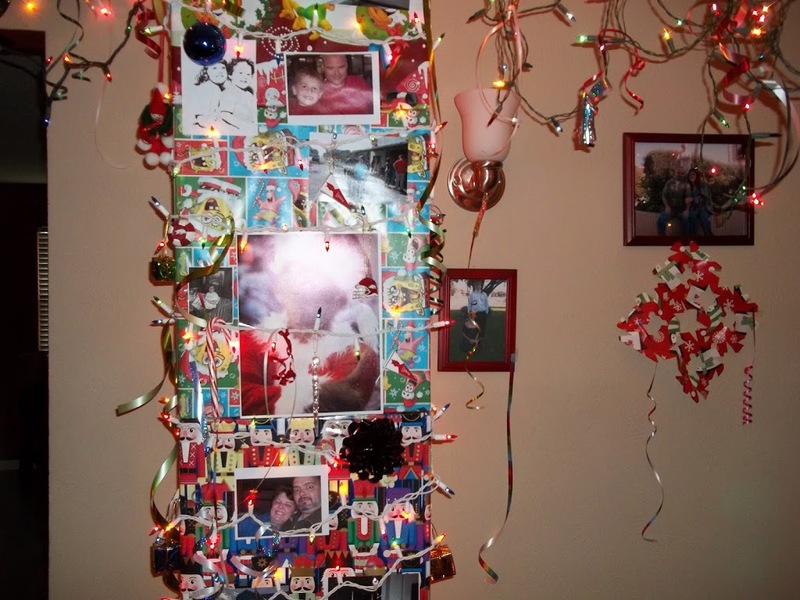 You can see the hundreds of pictures I used in these decorations. The above picture also have the Jesus-Zach Galifianakis picture that tickles me. 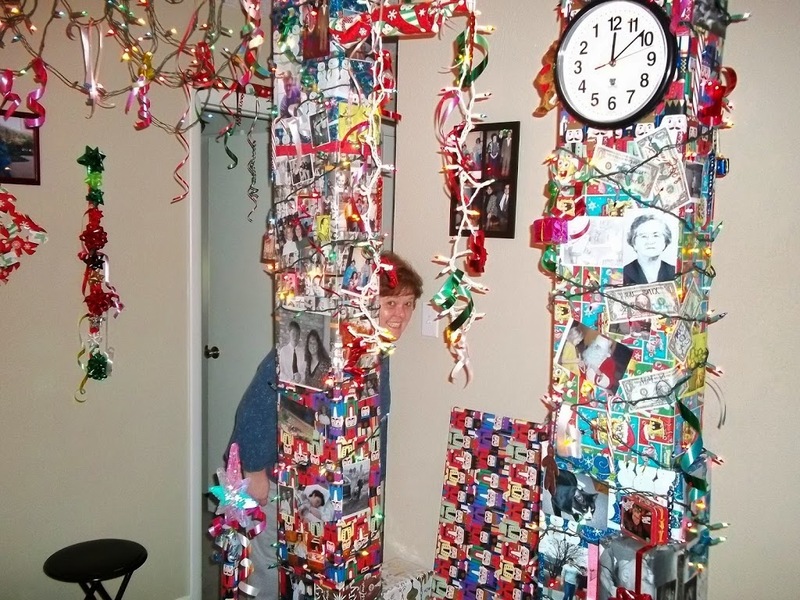 When people come over, they usually spend a lot of time looking at every display, seeking out the pictures and identifying people, places, and times featured in them. Recently, someone I know who worries too much about money was lamenting the issue of taxes. His comments echoed what I hear from a lot of people: taxes are too high. “Property taxes aren’t fair because they mean that they don’t ever truly own my house outright. Property taxes are thus really just another type of perpetual rent.” For the record, people who know me also know very well that I do NOT complain about paying taxes, whether they are income, federal or property taxes. We have it great here, all things considered. I am in the minority in this regard as complaining about taxes is almost a national sport. I’ve never understood it. I am not complaining about taxes now, either, in case someone with poor reading skills jumps to that conclusion. I’m making a point about the hypocrisy of many who constantly complain about “their tax money being wasted” on programs they dislike or don’t agree with. What really annoys me if think too long on the subject is the entire concept of this type of taxation to begin with. Most people rant about their taxes. These people are also the ones who almost always complain about what their taxes are going for. Whether it’s abortion, subsidies, drug therapy, food stamps, jails, military, etc. Most have their particular ideas about what taxes should be used for. With the issue of property taxes, though, we really are talking about local schools. Almost all of the funds go toward local schools. If people are going to complain about taxes and say the word “fair” without being hit by lightning, they need to stop and consider that those without children are getting hit the hardest of all. How high would taxes be if only people with children paid these taxes that go toward schooling? And why shouldn’t it be this way? Isn’t that “fair?” Would it be “un-american” to require ONLY those with kids to pay taxes to support schools? They are the ones who decided to have kids. Isn’t it about responsibility? Isn’t that what we hear so often from so many people in society? That people should have to pay for their decisions and be responsible? I’m making an effort to use this taxation logic against those who would otherwise argue for taxation fairness. The friend of mine who was ranting about property taxation is also insistent that health insurance be adjusted based on whether you choose to smoke, drink and overeat. His logic is that voluntary behavior should affect how much you pay, which sounds fair, doesn’t it? Why not extend that logic to include children? If I don’t have any, I shouldn’t be paying property taxes. Those who have children should be paying ALL the taxes. Imagine the outrage if such a system were seriously proposed, much less implemented! Again, I’m just using the ideas as a sample argument to demonstrate the inconsistency people hold in their heads about ‘fairness.’ I’m not advocating a system where only people with children should pay property taxes. But wouldn’t it be interesting to see it tried?